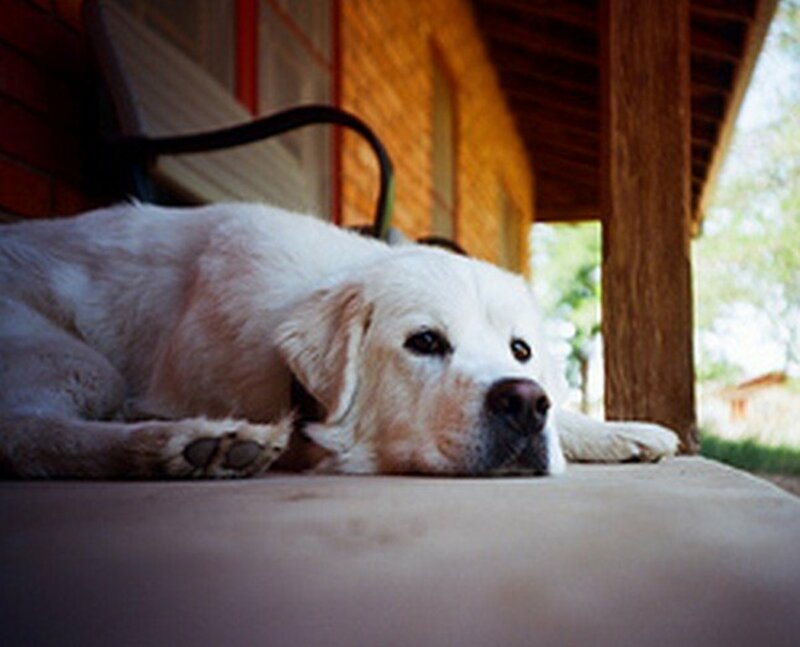 When most of us think about dog commands, we think of the most common, such as sit or stay. Even the come command is one that we tend to think of as vital to being in control of our dogs or even saving their lives in dangerous situations. However, training your dog the leave it command can have equally important results and can be just as vital in protecting your pet and ensuring a dog’s safety and well-being. "Leave it" is a simple command in its concept. I encourage everyone to start early with dog training and then continue to expand upon it in different ways as your work (and life) with your canine counterpart unfolds. What Is the "Leave It" Command? 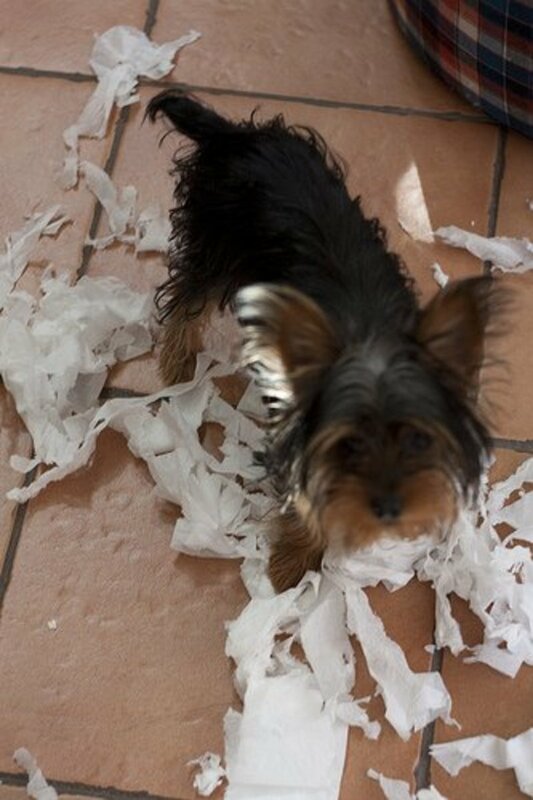 Very simply, when we teach our dog a command such as leave it, we are telling our dog that we are overriding their natural instinct to do something we do not want them to do. 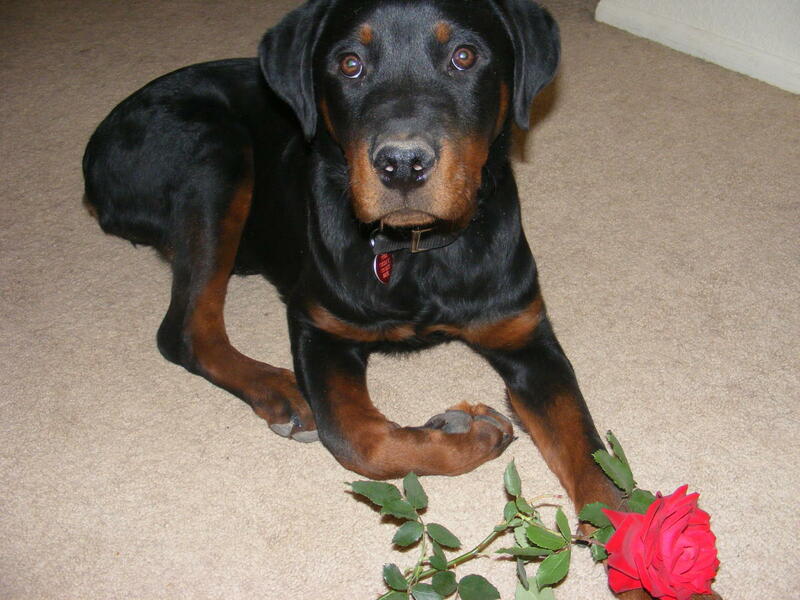 Dogs are by nature free thinkers and have many built-in instincts that we sometimes fail to remember. A dog doesn’t think of the toxicity in a puddle on the street (from radiator run-off containing antifreeze) or doesn’t question if eating a chicken or turkey carcass is good for him or her! They just react instinctively, especially when it comes to eating things or grabbing hold of things that might not be good for them. The above scenarios are two dangerous ones in and of themselves, but think of walking on a trail and coming unexpectedly upon a rattlesnake. A dog’s reaction might be to grab hold of the snake, which dependent upon the size of the dog, could have fatal consequences. Does a dog have to be a puppy to be taught the leave it command? Most definitely not! Any dog at any age can be trained to do just about anything. Starting early with any dog is going to most likely ensure a more positive result because well-trained puppies turn into well-behaved dogs. However, you CAN (and should) teach old dogs new tricks! Dogs love pleasing us and teaching any command at any age is better than teaching no commands at all. Some people use generic commands like “No” for everything and I tend to think this approach is confusing to most dogs. They never can distinguish what actual ‘thing’ you wanted them to accomplish - or quit doing. All they know is that they have done something incorrectly. 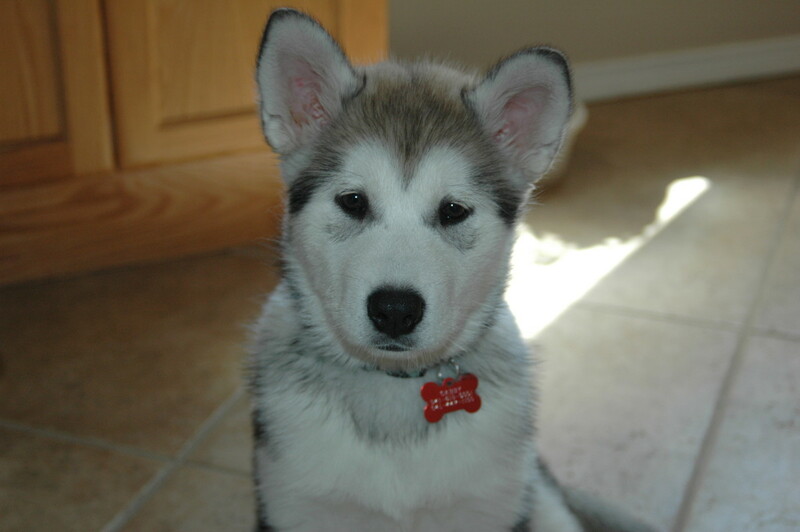 Dogs respond best to simple words and consistent short words or phrases if we want the training to stick. Leave it is a simple command and in dog speak means simply leave that thing alone that you have a mind to grab, do or ingest. It also can have other purposes, which I will explain later on. When I first start working with one of my dogs to teach the leave it command, I use pieces of food or kibble. I place a piece of food on the floor or on a stool, a chair or even a small table while the dog is engaged with me, then move my hand quickly to cover it and say firmly to leave it. 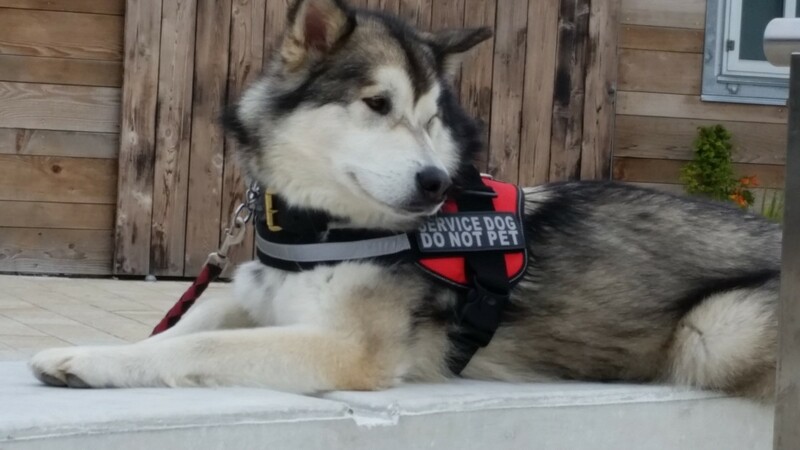 Since I have malamutes, I wait until the dog looks me in the eye before I begin to finish or reward for obeying the command. I want to to be sure that the dog knows what the command is and/or realizes that I am in control of that particular item I am asking him or her to leave alone. In my experience, maintaining eye contact with any dog during training or when working on commands tends to give you a more positive result because to me, it signals that they are processing the command and who is actually in charge. They are not just doing it as a 1-time thing to get a treat but are actively working at pleasing their owner. 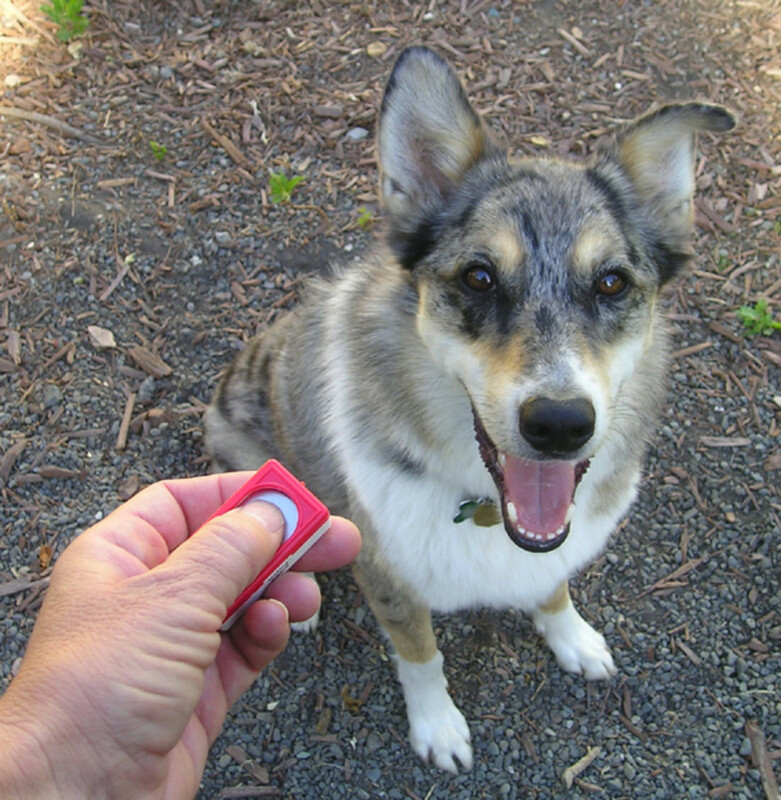 Another great tool is the clicker to reinforce for this type of behavior if you happen to be into clicker training. Every dog is different and every age is different (not to mention every breed). I try and work with the dog to meet their level of patience and then work on expanding that. Maybe I leave the item there for 10 seconds at first and say okay – take it. Or I say nothing and pick up the object and give them a treat instead. Good dog! Always praise them for what they have done correctly and be exuberantly happy that they have obeyed you. You will get much more positive results that way. Rewards do not always have to be treats or kibble either. 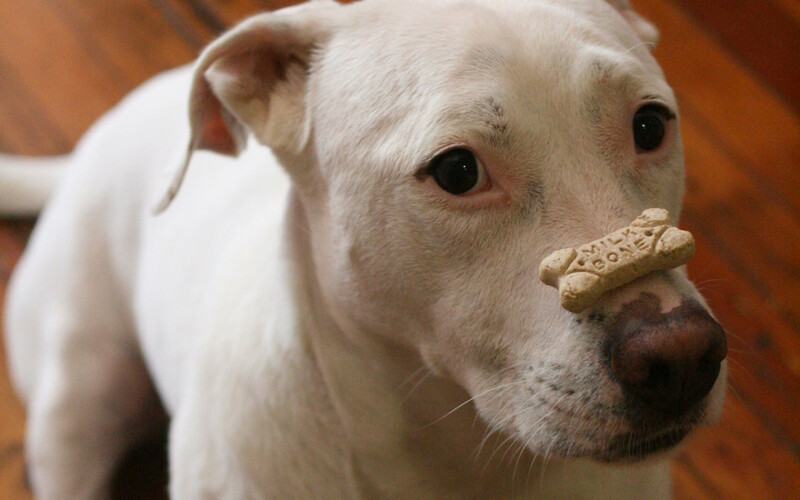 At first, it is more beneficial to reward them with a treat or kibble to get them to pay closer attention but then stagger rewards with praise and treats. As long as they know they are pleasing their owner that is the goal. Next, lengthen the time that leave it is in effect. The dog should eventually be able to sit or stand and look at the object they want for minutes until you give them praise and release them by either saying take it or a similar command or even picking it up and giving praise or a treat. After I have done the command several times in very close proximity (in order to be able to either put my hand over the piece of food or make a sound discouraging them from going for the object), I begin to expand on that a bit. I then begin to drop the same kind of thing on the floor or something enticing to the dog while standing close enough to put a foot on top of it if need be. Again, I tell them to leave it firmly and succinctly. Usually by this stage though, the dog has figured out that leave it means I want the object to not find its way into their mouth until I release them though sometimes the dog is clever enough to think along the lines that if they get to it first, it’s theirs! Expect a few challenges and expect a dog to be a dog. 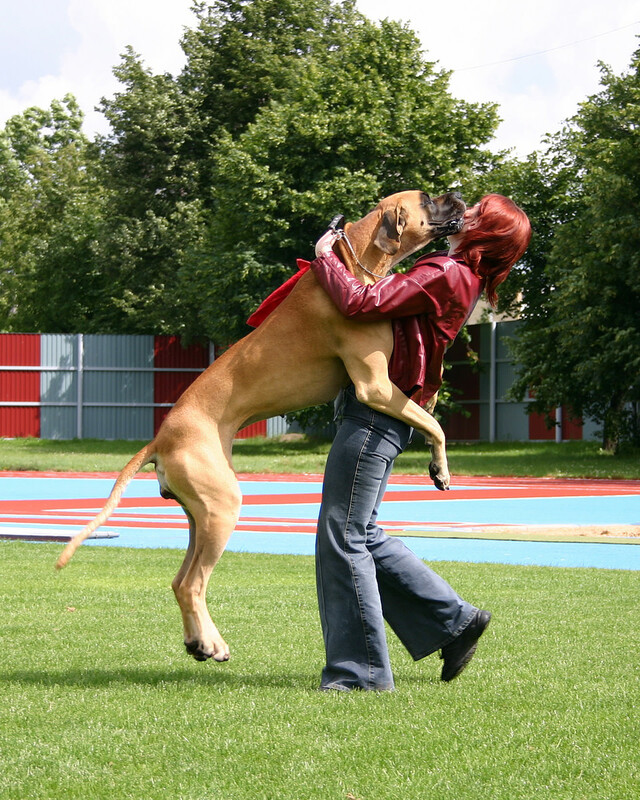 Some breeds and some dogs are just more invested in having their owner approve their behavior and are more natural people pleasers. If your dog lunges for the object of their desire, it's okay to reinforce the leave it command and say it again – leave it perhaps in a firmer or slightly louder voice. You can also move to put your hand or foot over the object thus not allowing them to get at it. Again, reward profusely with praise when they do it correctly and mix it in with some treats for good measure. I am passing another person on the street and their dog starts to lunge or pull towards us, trying to engage my dog – leave it means walk on past and do not pay attention to that dog! Reward profusely for obedience! The snake on the trail - leave it! The dog stops in its tracks and does not venture forward to engage with it. Vet bill or worse averted! The rabbit running through the backyard you do not want the dog to go after or the cat on the fence – leave it! Cease and desist and you will get a treat from mom or dad! Well done! That enticing bunch of dog poo that someone has left in your front yard that your dog just has to have! Not on my watch – leave it! The ham sitting on the counter you forgot about while you went to answer the door. You come down the hall to see Maxwell with his paws on the counter about to go to town – or maybe he has already grabbed it and dropped your beautiful dinner on the floor! Leave it! Disaster averted and with a little repair, dinner is still preserved. It wasn’t the behavior you wanted of course, but dogs being dogs, they sometimes will do things we forget to guard against such as counter cruising. The leave it command can actually be used to “set up” your dog training and retraining by putting food out on counters and working diligently with them to leave it in every sense of the word. This one is harder with some breeds and larger dogs who find it so much easier to grab things off high places but it works. Repetition and diligence are key here though. Last but not least, the annoying neighbors on both sides of you who have dogs that are allowed to jump on your fence and try to engage your very big, very independent dogs. 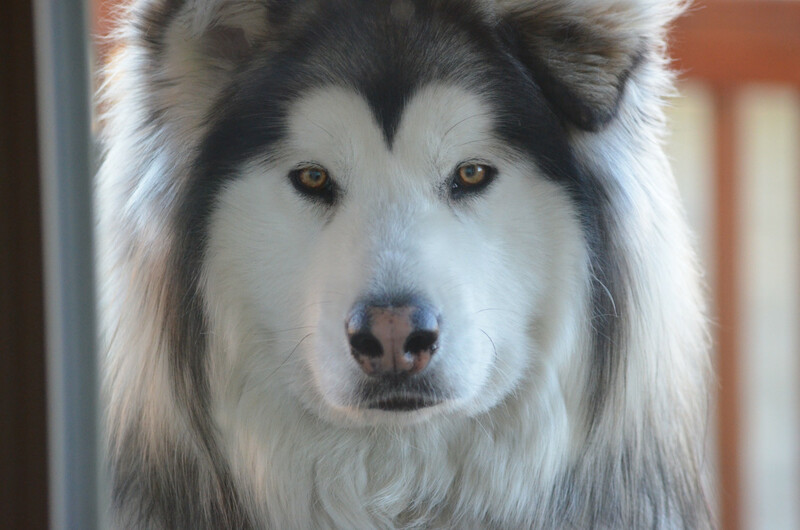 My malamutes do not go looking for a fight with anyone, but they are particularly sensitive to dogs jumping at them or snarling at them – through a fence or otherwise. They never start it but they don’t take kindly to it and would love nothing better than to engage at the fence in response. The command leave it means put your paws down and step away from the fence – now! It works every time – especially if there is a reward on the horizon. Reward good behavior and try to ignore bad behavior or failed attempts. If they fail to execute the command, try again. Shorter periods of training more often for any command usually work better than long, drawn-out jam sessions as the dog loses interest and we tend to become frustrated as well. Changing up how you use the command is important as well. Any dog will perfect a command done a certain way every time but the ultimate goal is that the dog learn to process those words and to respond to them in ANY situation when you give the command. Again, that includes that sweet-smelling bucket of antifreeze just sitting there waiting for someone to lick it up. It happened to someone I know and the 3-year-old dog victim was put to sleep the next day because she went into renal failure. We are here to protect our dogs from their own natural instincts sometimes and the leave it command can do that in the worst of situations if they have it learned properly. I have used it in a panic situation and had them respond. I always try to be in control when giving a command but unfortunately, life happens sometimes. I have found though that even a panicked command of LEAVE IT works! That's a good thing! Many times a leave it command has acted as a drop it command. They did get my drift and what behavior I wanted to stop immediately. You can expand this command to include toys, shoes, yard equipment, anything – the sky’s the limit. Just be consistent with it. Always use the same command and make sure you expect the same exact behavior every time you utter the words leave it. Reward generously and praise highly for any command your dog successfully obeys, and you will find your dog much more amenable to following your behavioral commands. Just as in parenting, be consistent and you will find that your dog improves day to day no matter how young or old! Hi Mary - I always say that they are just as we allow them to be and it does take so much time to train them but it is well worth it. They are only as smart as we can try to make them I think. I actually set my malamutes up while sitting in another room and putting things out for them to grab. I just always hope that the training is enough to prevent disaster - and that's all I really, really want! Thanks for stopping by and good luck with your pals. It is an ongoing training exercise me thinks! I need to do this with both of my dogs. They both chase the cat. Our Doberman thinks a lizard is fair game and just kills them. Our mutt will take things off the counter. Your advice will come in very useful, thanks. Hi Nancy - that is so true! "No" is my husband's favorite command and I always tease him and say which "no" are you using this time? It really does help to be more succinct, especially with my very clever and very independent 'children.' Thanks for stopping in! Hi Audrey. I really enjoyed this article. The suggestions are right on and it's very well organized and written. Although I've helped to train my dogs in the past, I never heard of the "leave it" command. Seems like it's a better way to go than "No!"